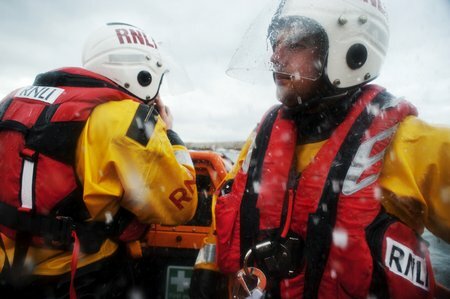 Photo shows crew waiting at Holy Island with local Coastguard personnel, while paramedics assess their patient at his home nearby. A nice sunrise over Lindisfarne Castle in the background. 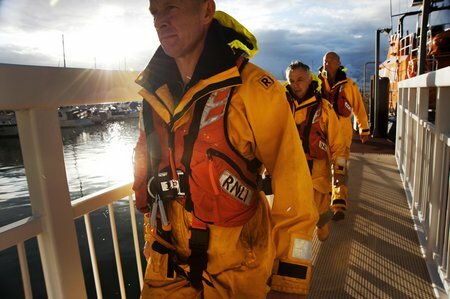 NO EXTRA HOUR IN BED FOR THE SEAHOUSES LIFEBOAT CREW AS THE CLOCKS WENT FORWARD, as at 05.39hr on Sunday 30th October 2011, Humber Coastguard requested the launch of Seahouses All Weather Lifeboat, to assist the North East Ambulance Service to reach an ill person on the Holy Island. The causeway was closed by the tide and a helicopter was not available. 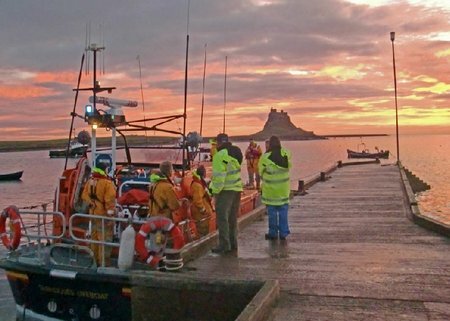 An agreed protocol was activated, and the ambulance crew were directed to Seahouses Harbour, while the lifeboat was launched. 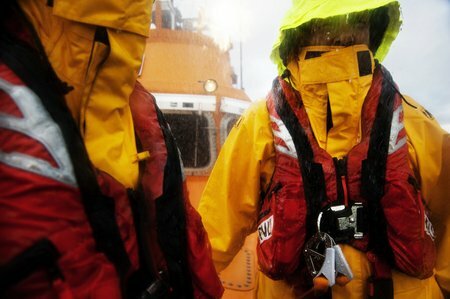 The Paramedics were then taken by sea to Holy Island, arriving at 06.50hr. 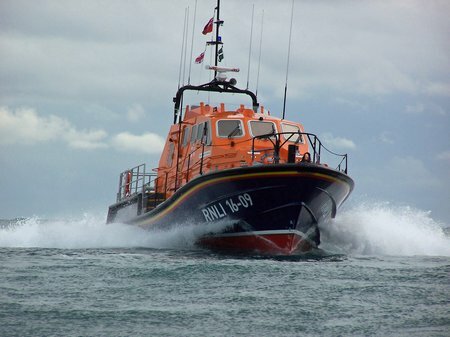 Portpatrick RNLI lifeboat station will receive a new technologically advanced Tamar all weather lifeboat to replace its current lifeboat, RNLB Mary Irene Millar, on Tuesday 8 November. 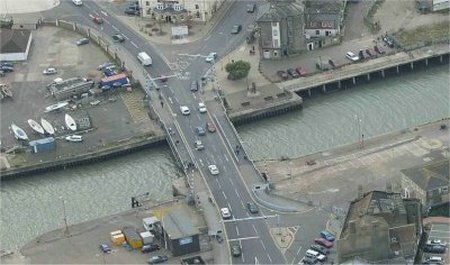 A man was rescued by the volunteer crew of Lowestoft RNLI lifeboat after he jumped into the town’s harbour bridge channel in the early hours of Tuesday 25 October. 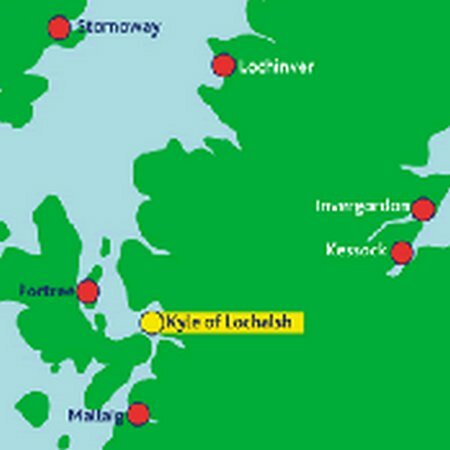 On Monday evening (24 October), Kyle lifeboat went to the assistance of three people stranded by the rising tide and falling darkness on the rocky shoreline between Kirkton bay and Balmacara bay. 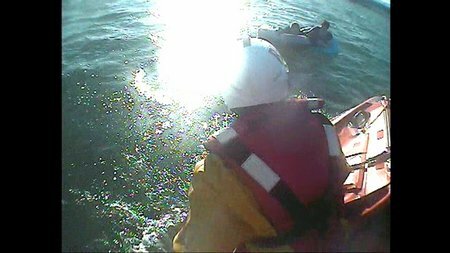 The inshore RNLI lifeboat from Rhyl was launched at 10:20am this morning (25 October) to rescue a mother and son who had been in the water for approximately 30 minutes. 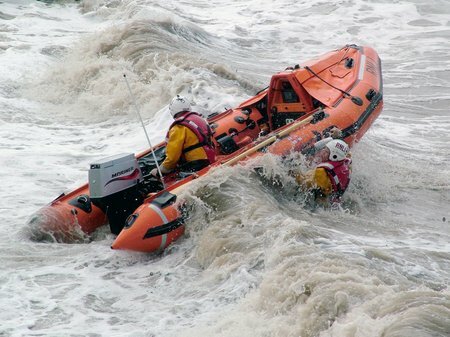 The 2 persons had entered the sea on 2 inflatable rings at Towyn and got into difficulty, with the offshore breeze and ebbing tide. 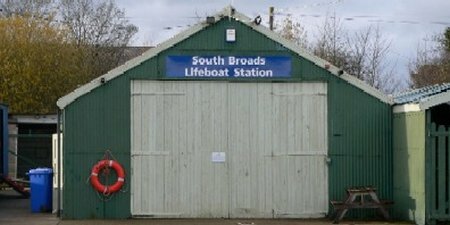 The volunteer crew at the Royal National Lifeboat Institution inland waterways lifeboat station at South Broads were saddened to find that the boathouse had been broken into over the weekend.